Members have access to the extensive collections of source materials for local history held by Sutton Coldfield Reference Library. 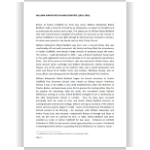 We have transcribed and translated early documents, and obtained copies of relevant material from other libraries and record offices to add to the collections. By studying these source materials members are able to pursue their research projects. 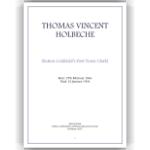 Richard Holbeche wrote his 'diary' in 1892. 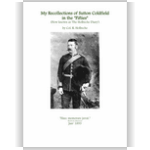 It is a recollection of the places he knew and the people he met during his childhood whilst living in the company of family, relatives and friends, in and around the quiet rural town of Sutton Coldfield. In this Translation, every page equates as far as possible to the same page in Twamley’s original manuscript (in Sutton Coldfield Local History Reference Library, Ref: SH97SUT). Therefore, the Index can be used for both copies. 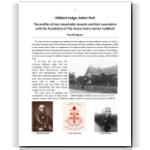 The profiles of two remarkable tenants and their association with the foundation of The Vesey Club in Sutton Coldfield. Rector of Sutton Coldfield for forty two years, William Kirkpatrick Riland Bedford made a name for himself as an antiquarian, an expert on heraldry and an enthusiast for archery and cricket. The eldest son of, William Riland Bedford who had married Grace Campbell of Dumfries, he was born at the rectory in Sutton Coldfield on 12 July 1826; though he died and was cremated in London, his ashes were placed in the family vault at Holy Trinity Church.